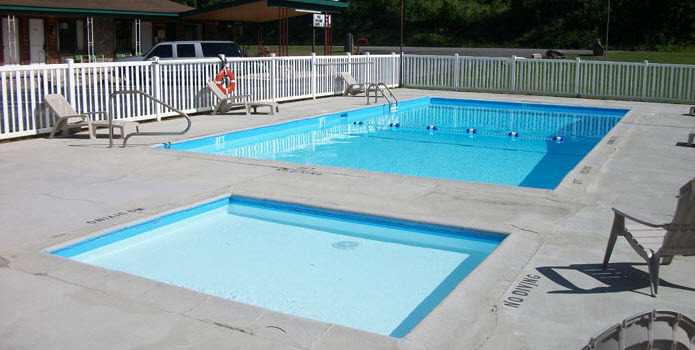 We have a large pool and kiddie pool available to all guests including cabin guests. It is closed during the winter season. 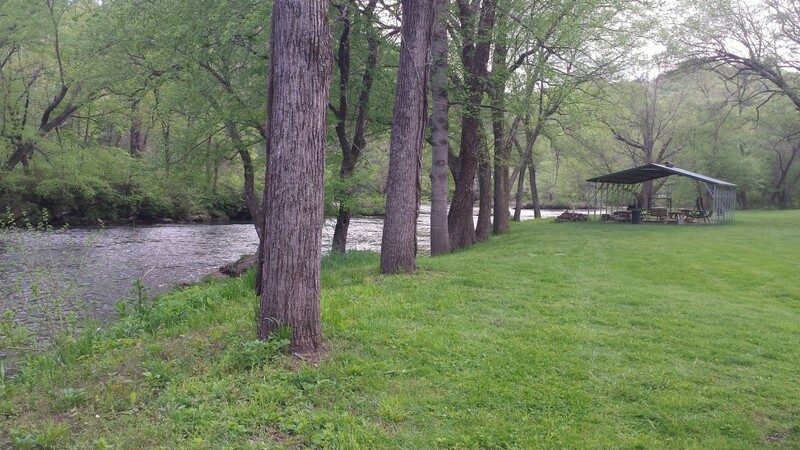 We have a riverside park that covers an acre along the river with 40 Ft. pavilion, covered bonfire pit, porch gliders, picnic tables and grills. 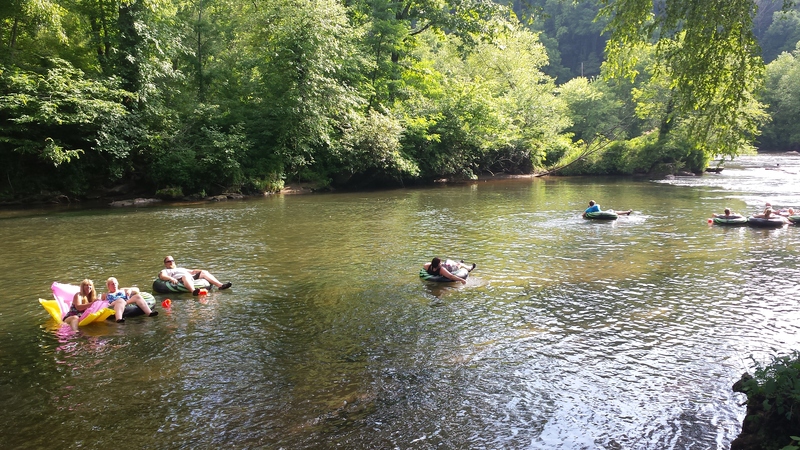 We have an eighth mile of river access suitable for fishing, tubing, rafting, or just cooling off. Plenty of wide open space to play. We have enough space to have play baseball, football or through frisbees. We have even considered events if you have any suggestions. 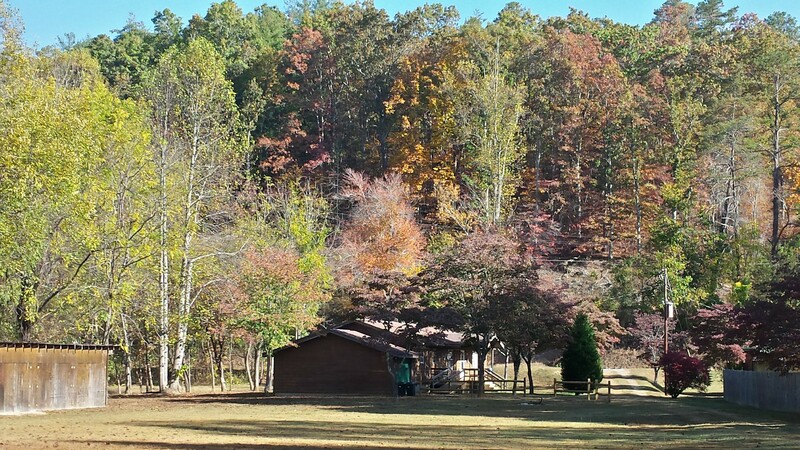 Just five miles from both Bryson City or Cherokee we are close enough to shops and restaurants to be convenient but far enough from both to be quiet. Enjoy the quiet mountain atmosphere with a walk along the river. You can reserve with us directly by calling 828-488-2284 or online through Booking.com by using the button to the right.